The residential demolition services that we bring to the city of Victoria are founded on a basis of experience and specialized expertise. It has always been our ambition to bring the best of local demolition companies and to ensure that when our clients reach out to our demolition contractors, that we have the capability of fulfilling their needs no matter what they may be. When looking for a quality service that you can count on for the best possible results, choosing Victoria Demolition will deliver. The most common of demolition services in the city is that of house demolition. Whether this is to deal with aged and abandoned buildings before property development or to bring you the capability to start fresh with a brand-new construction, making the choice to reach out to the best in interior demolition and building removal will ensure that you have the best possible foundation to start with. We work closely with you in order to ensure that we are bringing the best results for your property and in a way that is conducive to assisting with your future plans. From garage demolition to gazebos, sheds and pool houses, we bring you the ability to effectively deal with any installation type within your property. 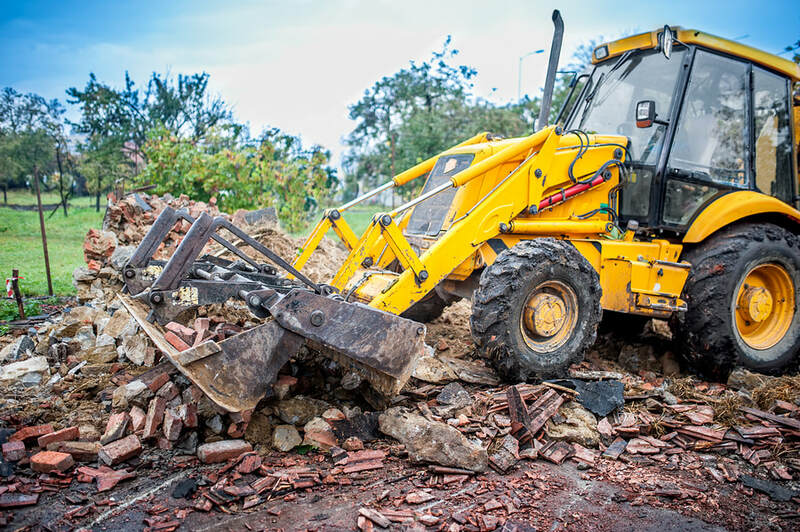 No matter the current installations in place, or the number of buildings you need removed, from lot clearing and grading to simple shed takeaway services, making the call to Victoria Demolition will provide results. We are here to ensure that you have the means to directly control the property you own and to deliver our services in a way that assists you with your goals. When you need a complete and thorough option for your property, give us a call. We not only service buildings but also bring you the range of property treatments you need. From driveway demolition to concrete slab, tank removal to walkway clearance, making the choice to reach out to your local demolition company of choice will deliver the fullest range of options you can hope for. When the quality of work and the amount of choice you have is important, ensuring that you are getting the help of the best in the city will deliver the finished property look that you seek and allow you to move on with your planning. We understand that one of the most common things on our client’s minds is that of overall cost and though we would love to have the capability to deliver solid numbers online, there are a number of factors that go into the overall cost of your services. This can include the size of the home in question, the number of additional items that require removal and other factors. In order to get a better idea of what to expect, reaching out to our experts will provide you with the means to book an inspection and free quote for your service needs.